Waaaay back in the old days when I was in a Home Ec class in junior high, the teacher taught us this easy, perfect pie crust recipe. You know if she would attempt to teach this recipe to a bunch of 13-14 year old girls, it’s got to be easy! 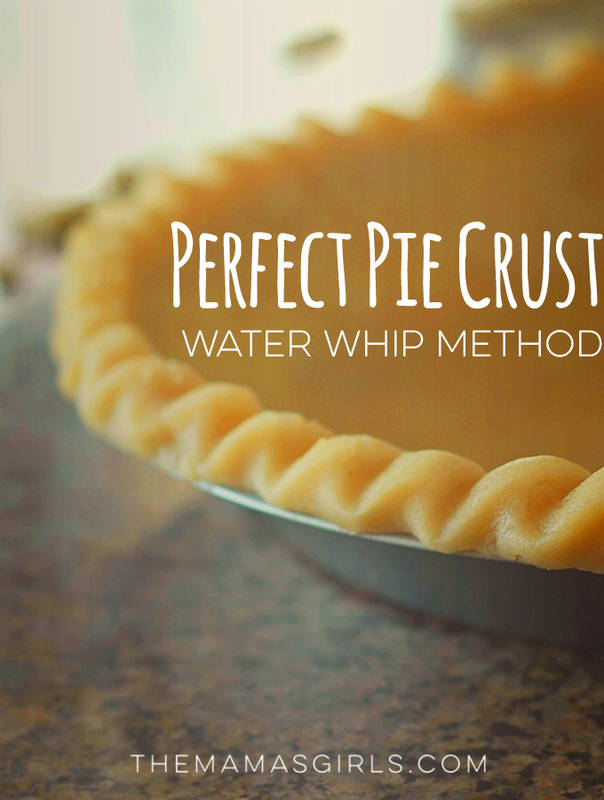 We had virtually NO cooking or baking experience and this “Water Whip” pie crust turned out perfect! 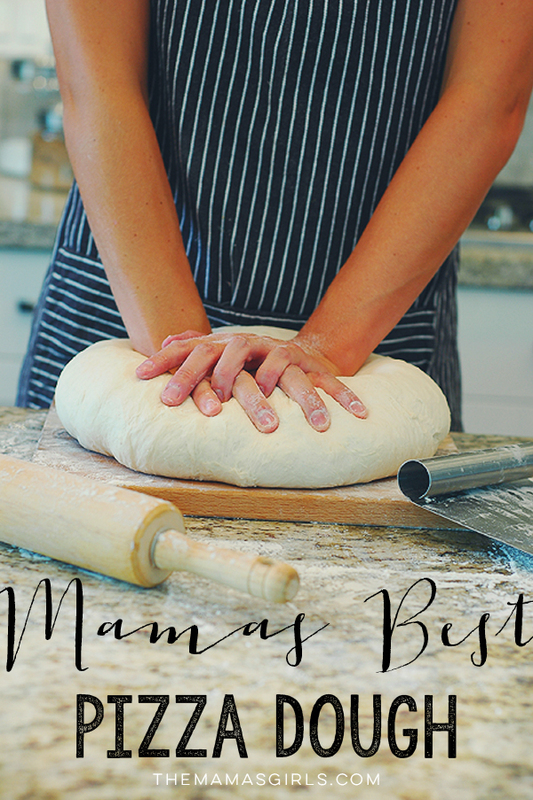 I have had this pie crust recipe written on a 3×5″ card in my recipe box for years! There are just about as many pie crust recipes out there as there are pie bakers, and everyone has their old standby. 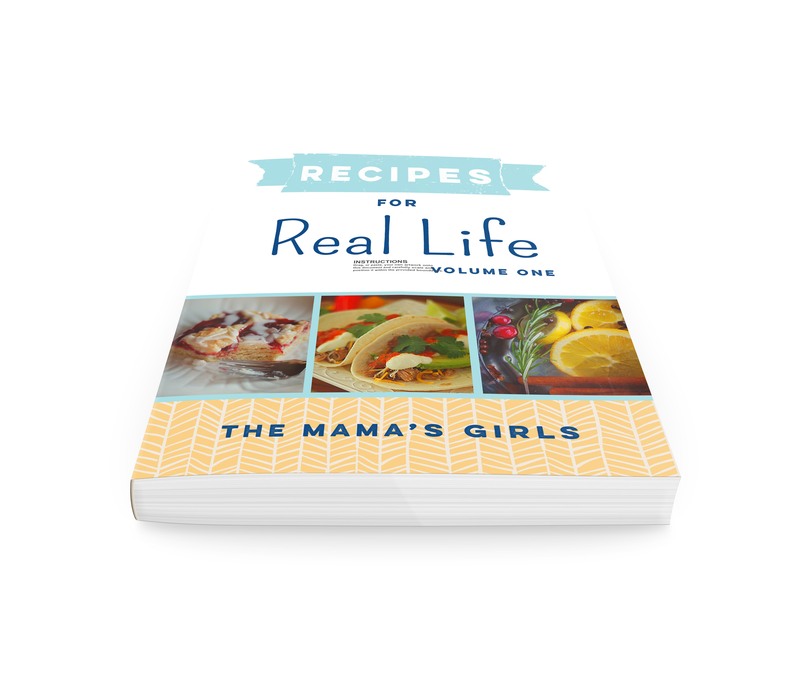 If you have ever thought that making homemade pie crust is a pain, think about trying this one. You don’t need to drag out your food processor (and clean it!) and you don’t need any special kitchen tools. Not even a pastry blender! 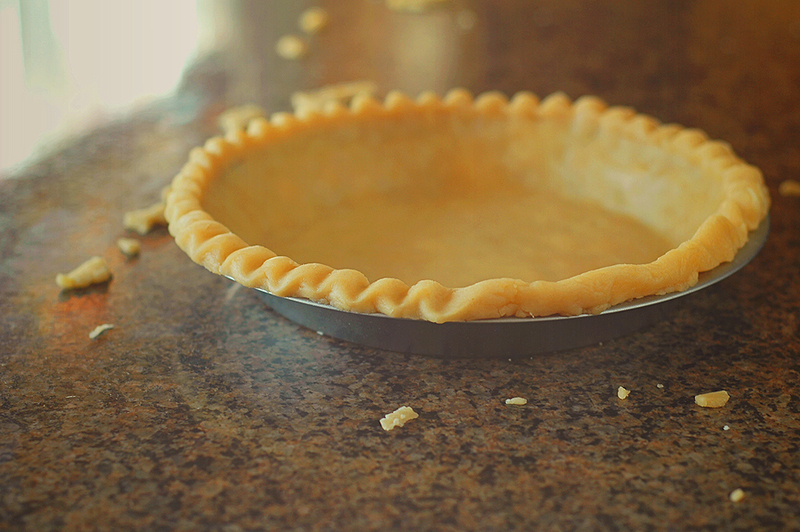 If all you have is a fork, you can make a perfect pie crust. This recipe will make 2 baked pie shells or 1 double crust pie. Measure the shortening in large metal or heat-safe bowl and break it up using a fork, Set aside. Sift the flour and salt into a separate bowl and set aside. Measure 1/4 cup water into a class measuring cup, then add the milk. Microwave on high about 45-60 seconds or until boiling. 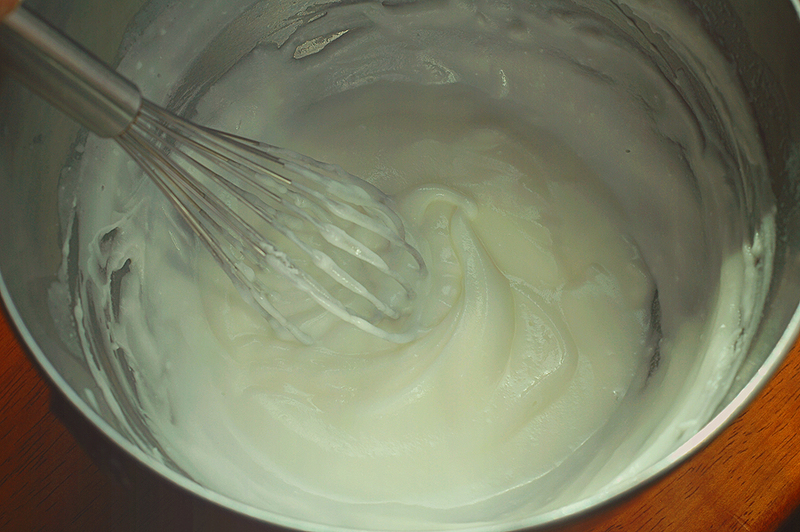 Pour the boiling water/milk mixture into the shortening and using a fork or a small whisk, whip it briskly until creamy. It will be smooth and creamy, about the consistency of mayonnaise. Roll out each half using 2 sheets of wax paper. For a pre-baked pie crust, prick the bottom of the crust a few times with a fork (to avoid bubbling while baking) and bake 10 to 12 minutes at 450°. If making a baked pie, such as pumpkin, apple, etc. bake it according to the pie recipe directions. You may need to cover the crust edges with foil part way through baking so the crust does not get over-browned. Divide dough in half and press each half into a flattened circle. Cover with plastic wrap and chill for about 30 minutes. 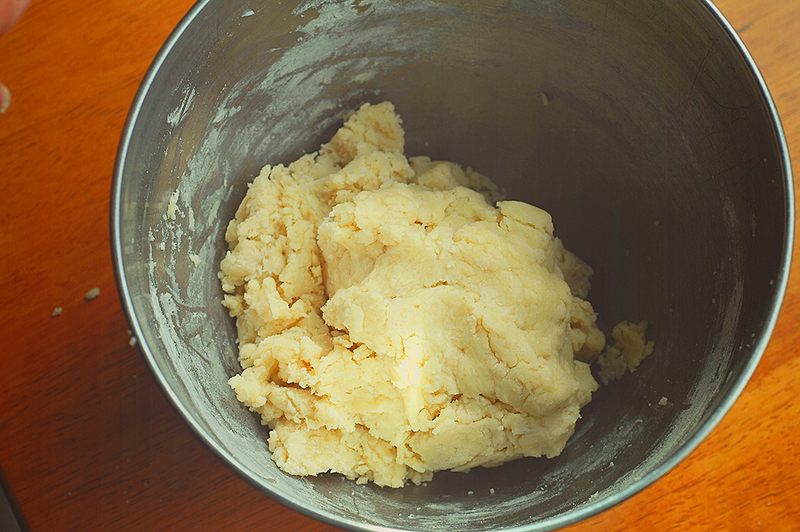 You will notice little flecks of shortening throughout the dough. This is exactly how it should be. 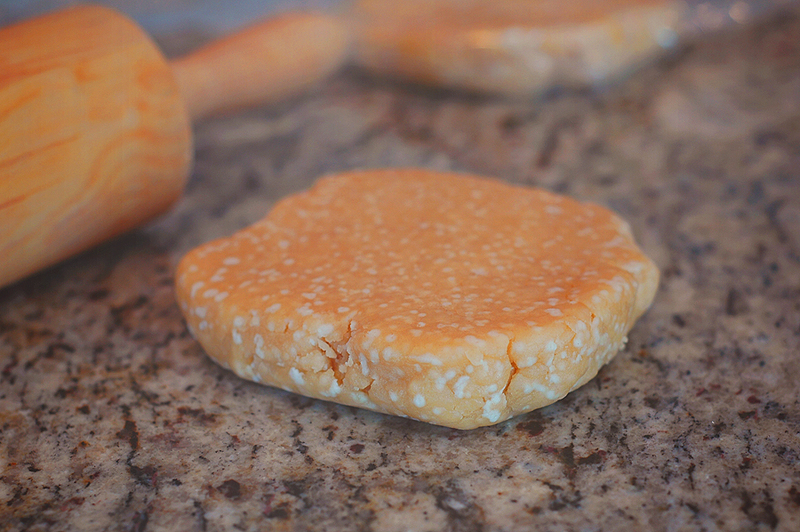 These little flecks will guarantee your pie will have a flaky crust! Roll out each half between 2 sheets of wax paper. Hi Alexia! I’m sorry this message slipped through the cracks somehow! I apologize for just now getting back. Both the apple filling and water whip crust methods are up on the site. Too late for Thanksgiving, but maybe for Christmas! Let me know if you have trouble, and how it goes when you do end up making them!